To submit an event to our local Community Calendar, fill out our webform. Your event will then be held in queue for review and approval. You may create an account on the site if you would like to review/edit/duplicate your events at a later date. To create an account or to login, fill out the “Log In” or “Register” form located at the bottom of this page. 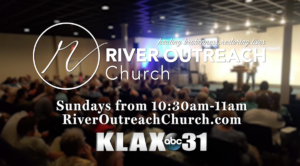 As a local commercial broadcaster, KLAX TV – ABC 31 is proud to serve the Central Louisiana community by donating thousands of dollars of broadcast time to local, state and national public agencies and charities. • 1. 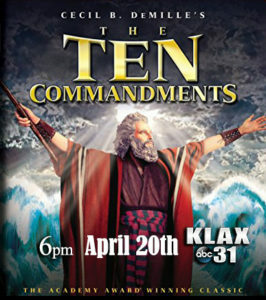 Local events and campaigns sponsored by KLAX TV. Our policy is to provide public service broadcast time only to bona fide governmental agencies and organizations and charities which have been certified as non-profit by the Internal Revenue Service under the 501 © 3 code. We reserve the right to determine which public service announcements will be selected for broadcast. Guidelines for Submitting Agency-Produced PSA’s: KLAX accepts pre-produced PSA’s from qualifying organizations on an as-needed basis. Pre-produced PSA’s may be submitted for upcoming events or campaigns or on-going campaigns or messages. • Third Priority: Any PSA submitted by State-level agencies and charities. • Be submitted on DVD or download via FTP. Do not submit master tapes; KLAX cannot return PSA tapes.